The people of Kosovo are hospitable, friendly and very talkative. Don’t be surprised if a stranger comes up to you and talk. In many countries, this would be quite sketchy, but here in Kosovo, it will be out of curiosity about where you’re coming from and why you’re visiting Kosovo (in a good way). Most of the younger generation speak English very well, and you won’t have a hard time to speak with them. Some of the older generation might not speak more than a few words of English, but if you happen to know Italian or German they might know that besides Albanian. The countryside is another special thing about Kosovo. You see cows and goats walking freely around the landscapes and they look really happy. 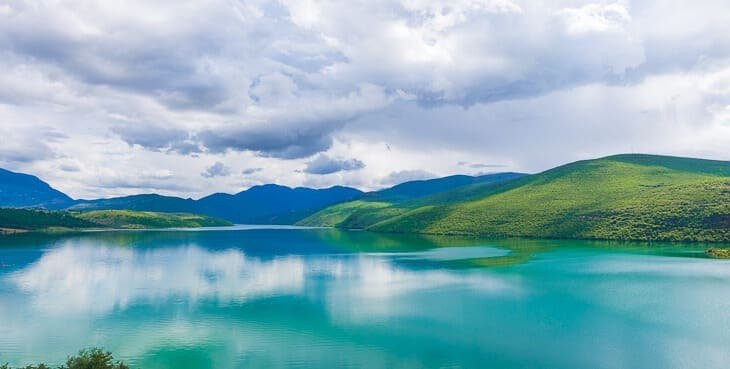 Another thing that will strike you upon arrival is the natural beauty you can find all over the country, ranging from mountains to lakes and waterfalls. Hiking is without a doubt one of the best things to do in Kosovo, and you can do it yourself or together with one of the many tour guides available. 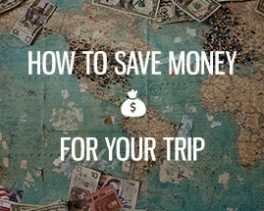 While prices are rising in Europe in general, especially at more crowded tourist destinations, it’s safe to say that Kosovo is one of the most inexpensive countries in Europe, and you can have a full meal for less than 3 USD. That’s about 1/3 of the equivalent price in Sweden, hence you get a lot of value for the money as a tourist. While the past definitely has some dark spots of war and other problems, things are turning for the better I think. There’s an optimistic feel whenever you speak with the locals, and the overall feeling is that Kosovo is looking toward a brighter future! And probably a lot more tourists as well as soon as they discover what a lovely place this is. The area of Kosovo has been inhabited for thousands of years. Several empires and peoples have roamed these lands, and you can see parts from different eras while traveling around the country. They have a strong culture and identity and you can tell that the Kosovars are proud of their heritage. When others talk about history and Kosovo the first thought is often the horrible Kosovo war, but there is so much more history to discover! Like other Balkan countries they eat a lot of meat, so you’ll find all the Balkan classics. But if there is one Kosovar dish you should try then it would have to be Flija. Here’s a video to see more how you make this unique dish! To be honest, I haven’t tried that many other local dishes, just a few, but they were simply delicious, and the amount of food served was plenty. We had a lot of cevapcici and burek during our stay. Where to go? Here are some of the places I think everyone should visit! I’m sure there are more, but this will be a good start. One of the most beautiful and interesting cities in Balkan I think. Quite similar to Mostar, even though Prizren definitely has its own charm and character. 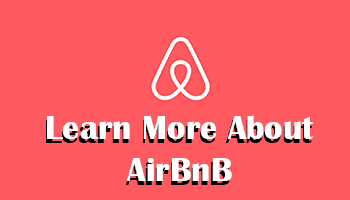 It’s easily accessible from Albania or Skopje in Macedonia. We went on a bus from Tirana and we arrived a couple of hours later. It’s a lively city filled with cafés, restaurants and beautiful mosques. 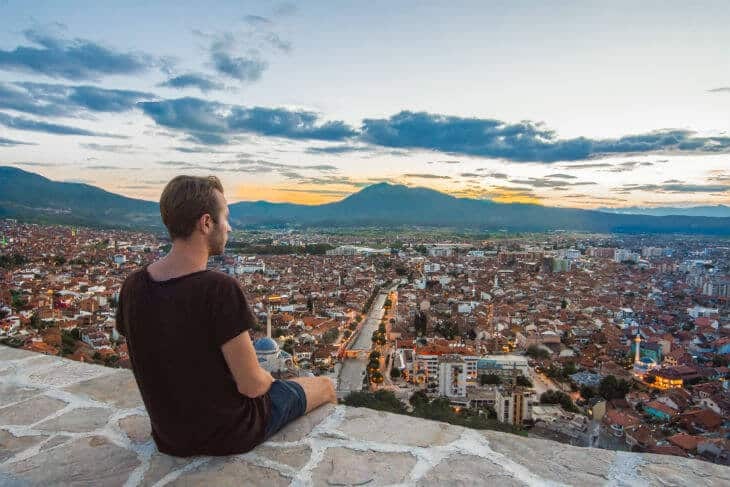 Don’t miss to climb the fortress and enjoy the impressive views over Prizren! 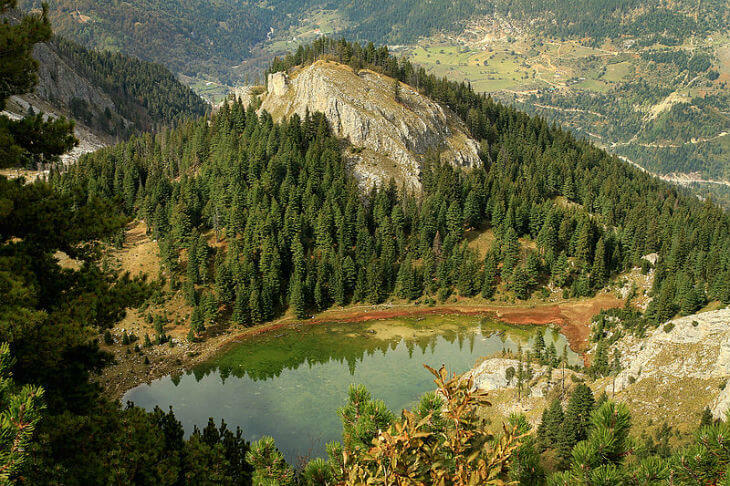 If you like spending time in nature, then you should put Rugova on your bucket list! Lakes, mountains, trails, canyons, and gorges are plenty. Just look at the photo below and you will see why you should go. The capital is also the biggest city with a population of about 210 000 people. Here you will find a great range of bars and restaurants, and several cool buildings and landmarks. Another classic as a tourist is to do an air five with the big statue of Bill Clinton, which is a tribute to the former president. 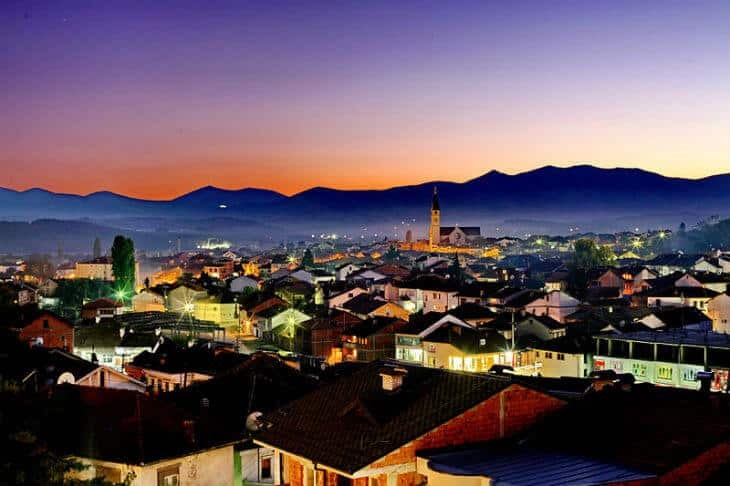 Situated between the cities of Peja and Prizren, Gjakova makes an interesting stop. The city was quite damaged during the Kosovo war, but it has been rebuilt and once again serves as one of the cultural and educational centers. Some points of interests include the Old Bazaar, Hadium Mosque, Saint Paul and Saint Peter Church and the Clock Tower. Another old city in Kosovo with plenty of beautiful buildings and culture as well as surrounding nature. Due to the diversity of activities, there is also a growing tourism industry in Peja. Another stunning mountain range in Kosovo. This one is located east of Prizren at the border to Macedonia. Here await lakes, shepherds, and breathtaking scenery. The Sharr Mountains is a must place to go when you visit Kosovo if you like hiking and nature! A stunning waterfall that rises 25 meters high. 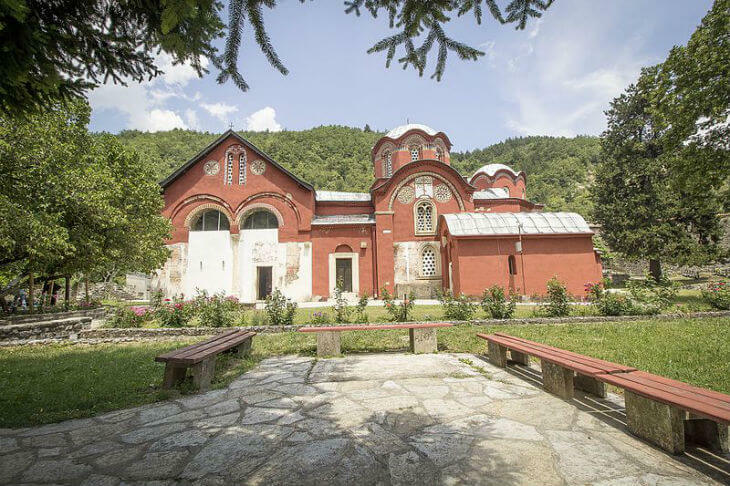 Located in the Žljeb mountain in the Prokletije in the village of Radavc, 11 km away from the town of Peja. In the northeastern part of Pristina, you will find the natural gem called Germia Park. I would advise going on the weekdays though, as it tends to get crowded during the weekends! 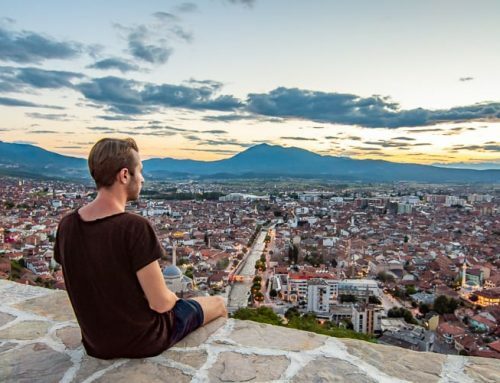 Do you have more tips for people who want to visit Kosovo? Feel free to share in the comment section below! Kosovo has the most beautiful women in the world. The view from Prishtina cathedral should be mentioned. As well as pizzeria Napoli in the centre. Another reason, as a 15th one is Peja beer! It’s the pearl among Balkan beers! Also the quality of coffee and coffee culture in general is something typical. Tolerance of religion is also huge in Kosovo and it’s very unique recently. I wouldnt be shy to say that Kosovar Albanians are the most friendly and hospitable nation in Europe! Ur welcome again , and as a kosovar i must be thankful for ur worlds. U described as good as it is . Mirusha Waterfalls, skiing opportunities in Brezovica and Brod. In city Gjilan, you have the most beautiful restaurants. In Stanishor (Makresh) you have the best place to stay in weekends similar to Gërmia in Prishtina with Villas for rent as well as couple of family restaurants. There are only two bifurkacions in Europe, one of them is located near city of Ferizaj. Beautiful thing to visit so don’t miss it. I live in Prizren. I’m so happy ‘cuz I live in Beautiful City on Balkan ! Very true; however, run of the mill review. No mention of North Kosovo though, where the official language is not Albanian. Any reason you omitted this district? 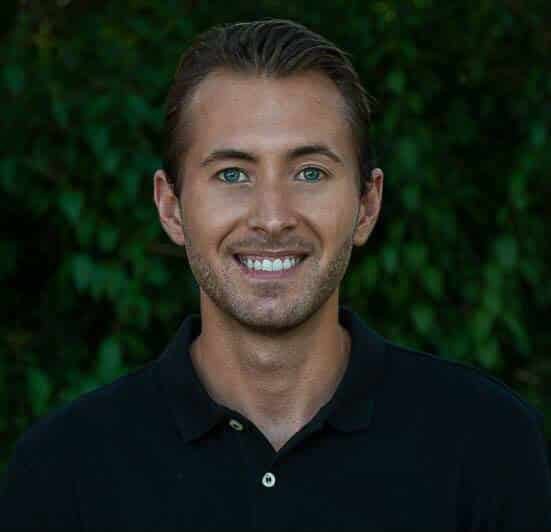 I haven’t been there, so if you have something interesting to share about that area, please feel free to do so here in the comment section, so other people can read. 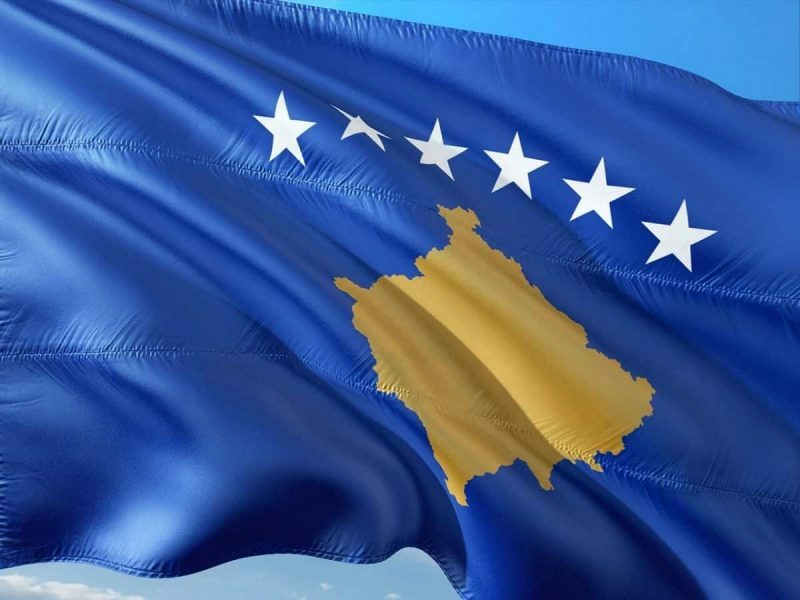 Kosovo has two official languages in all of its territory. In the Northern part, the majority of citizens have Serbian ethnicity so they communicate in their language. However, Albanian remains official language in that part too. I was in Kosovo this year in June, to visit Prishtina, Peja and Prizren. I have come back now in September, because I loved it so much. I can recommend Hostel Saraç in Peja. Its a family owned hostel that has very cozy and relaxed vibe. I just stayed there again for 9 nights. And I can recommend to anybody to visit Mitrovica. I have been to the southern and northern part of the city. I have to say that it was probably the most impressive experience I had in Kosovo. It was totally safe.